There are no current articles. Mr. Rodgers oversees all facets of Catalyst Energy, but primarily Exploration and Development, Land, and Asset Acquisitions. Prior to establishing Catalyst Energy, Mr. Rodgers served as a petroleum engineer for Quaker State Corporation from 1983 to 1989 and was responsible for all facets of drilling, completion, production and transportation operations in northwestern Pennsylvania and southwestern New York. From 1989 to 1992, Mr. Rodgers was employed by a regional operator, Angerman Associates. As the Manager of Engineering, Mr. Rodgers supervised drilling and completion operations in southwestern Pennsylvania and West Virginia. In 1992, he resigned from Angerman Associates to form Catalyst Energy. Mr. Rodgers earned a Bachelor of Science degree in Petroleum and Natural Gas Engineering from The Pennsylvania State University in 1983 and a Master’s degree in Business Administration from Clarion University in 1989. He is a member of the Society of Petroleum Engineers, the Pittsburgh Association of Petroleum Geologists, and the Pennsylvania Independent Petroleum Producers (PIPP). Mr. Jones is responsible for all aspects of field operations, as well as new project development and installation. Previously, Mr. Jones worked as an engineer for Quaker State Corporation. His responsibilities included all aspects of drilling, completion, production and transportation operations in Pennsylvania and New York. From 1995 to 1998 Mr. Jones was employed by Belden and Blake Corporation as Senior Drilling and Completions Superintendent where he supervised drilling and completion operations within the exploration division. He joined Catalyst Energy in 1998. Mr. Jones earned his Bachelor of Arts degree from Fredonia State University in 1977 and an Associate of Science degree in Petroleum Engineering from the University of Pittsburgh in 1981. Mr. Jones is a member of the Pennsylvania Independent Petroleum Producers (PIPP). Mr. Henry is Vice President of Technology and Development for Catalyst Energy, Inc. His responsibilities include maintaining and developing business applications and the management of spatial data for use by engineers and geologists. Mr. Henry joined the company in January 2007 as an intern and later moved to a permanent position. Academically, Mr. Henry earned a Bachelor of Science degree in Information Systems Management from Robert Morris University in 2008. Mr. Ruhlman is the Vice President of Land and Acquisitions for Catalyst Energy. He is responsible for overseeing all facets of land acquisition, leasing, road and pipeline right-of-way acquisition, title analysis, and landowner issues. With over seven years’ experience devoted entirely to leasing and title acquisition in northwestern Pennsylvania, Mr. Ruhlman provides a trusted and knowledgeable perspective to land and mineral owners in negotiations and discussions regarding mineral rights in this region. He has also become a sought after advisor for issues affecting and regarding the shale leasing in Pennsylvania. Academically, Mr. Ruhlman earned his Bachelor of Arts degree in Communications and Public Relations from the University of Pittsburgh at Johnstown in 2003, and is a member of the Pennsylvania Independent Petroleum Producers (PIPP). Janet Rodgers O’Malley is the Corporate Secretary of Catalyst Energy as well as the Vice President of Marketing. Her responsibilities include the implementation of the Catalyst drilling programs in the broker-dealer community and strategic relationships with potential joint venture partners as well as securing selling agreements and communication with broker dealers, advisors, investors and institutions. Ms. O’Malley joined Catalyst Energy in 1995, and has served in different capacities during her 20 year employment from Director of Investor Relations to Treasurer. 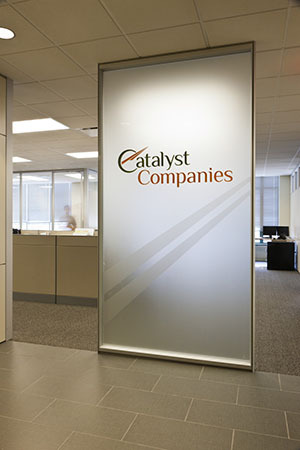 She has been actively involved in many aspects of Catalyst Energy including sales, finance, gas marketing and transportation, and broker and investor relations. From 1985 to 1987, Ms. O’Malley worked for a regional brokerage firm. From 1987 to 1995, Ms. O’Malley served as the Manager of Marketing for the Century Financial Insurance Agency. Ms. O’Malley earned a Bachelor of Science degree in Business Administration from LaRoche College in 1983. Ms. O’Malley is a licensed Pennsylvania Insurance Agent and also has a Pennsylvania Real Estate license. Ms. O’Malley is the sister of Paul Ryan Rodgers. Ms. O’Malley resides in Pittsburgh, Pennsylvania with her husband and five children and enjoys reading, piano, gardening, camping, basketball and cooking. © Copyright 2019 Catalyst Energy Inc.